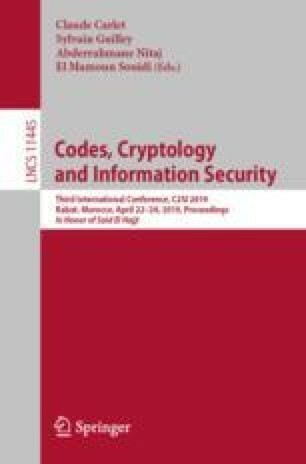 [This is an extended abstract of the paper ] A locally recoverable (LRC) code is a code that enables a simple recovery of an erased symbol by accessing only a small number of other symbols. LRC codes currently form one of the rapidly developing topics in coding theory because of their applications in distributed and cloud storage systems. In 2014, Tamo and Barg have presented in a very remarkable paper a family of LRC codes that attain the maximum possible (minimum) distance (given code length, cardinality, and locality). The key ingredient for constructing such optimal linear LRC codes is the so-called r-good polynomials, where r is equal to the locality of the LRC code. In this extended abstract, we review and discuss good polynomials over finite fields for constructing optimal LRC codes. The author is very grateful to Jian Liu for her valuable help. She also thanks the co-chairs program (in particular Claude Carlet for his careful reading) and the organizers of the conference C2SI 2019 for their nice invitation.